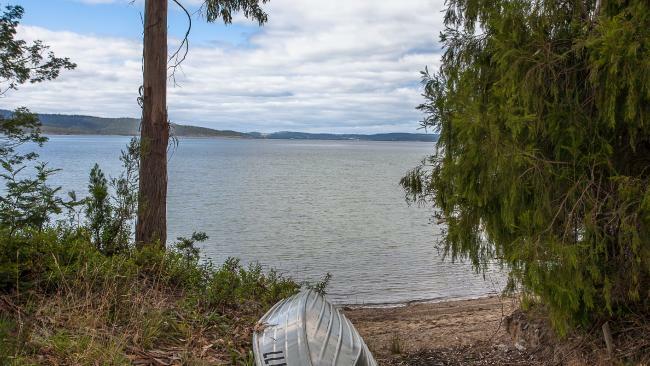 This beautiful federation homestead sits on the edge of the D’Entrecasteaux Channel, with views across to Bruny Island, and could be yours for the price of an inner-city pad in Sydney or Melbourne. 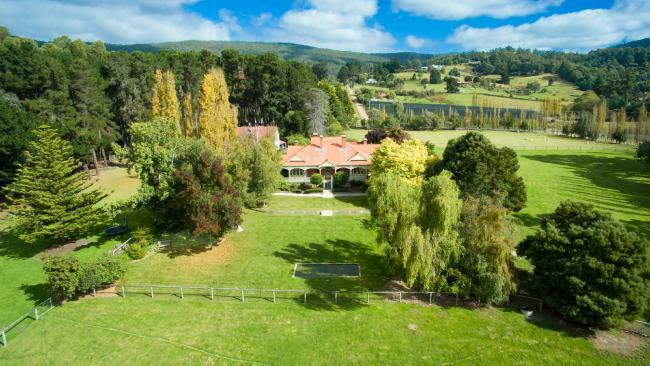 The former divisional director and head of training for equity markets at Macquarie Bank, Rohan Boman and wife Anne, have listed their Tasmanian Federation home Cooinda. Originally from Queensland, the couple have spent many years living and Sydney and overseas but decided to settle in the south. They paid $2.7 million for the home which sits on a sprawling 3.4 hectare parcel on the edge of the D’Entrecasteaux Channel. They keep chicken and sheep on the property which also features a 1984 renovated barn and a self-contained cottage. Rohan is currently the director at Australian Whisky Holdings. Anne and Rohan Boman, who are originally from Queensland, spent many years living in Sydney and overseas but decided to settle in Tasmania on their return. “We were looking at where we’d like to live when we came home and Tasmania was on my husband’s radar,” says Anne. They bought the property in 2007 and have lived here since 2009. Anne says she loves the change of seasons and her beautiful garden, with the home set on almost 4ha. She also loves the fact it’s just 30 minutes from Hobart. There is a barn on the property that dates from 1894 and has been renovated to include an airy loft that can be used as a teenager’s retreat or studio. There is also a self-contained cottage. Anne says the family goes kayaking and enjoys walking into the nearby village of Woodbridge, which is home to the famed Peppermint Bay Hotel. They keep sheep and chickens on the property, which she says has been wonderful for her growing children. With the children now older, it’s time for a new adventure. Birchs Bay is in southeast Tasmania, 30 minutes from Hobart, overlooking Bruny Island. The median house price in Kingborough local government area was $398,000 in February, according to CoreLogic RP Data. In southern Tasmania it was $280,000. The main house was built around 1905; the barn/teenagers retreat in 1894. 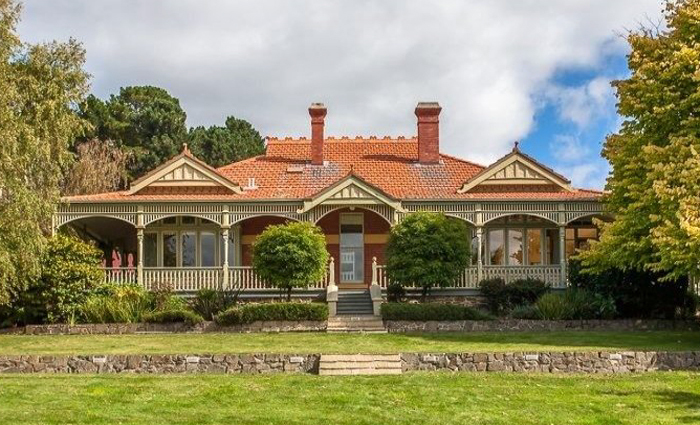 “Occupying sublime position on the edge of the D’Entrecasteaux Channel, this fully renovated Federation residence (c1905) is the epitome of Vogue country living. Take advantage of extraordinary privacy with coveted water front position in this prestige estate spanning 8.5 acres. Anne Boman says she and the family often went kayaking on D’Entrecasteaux Channel. 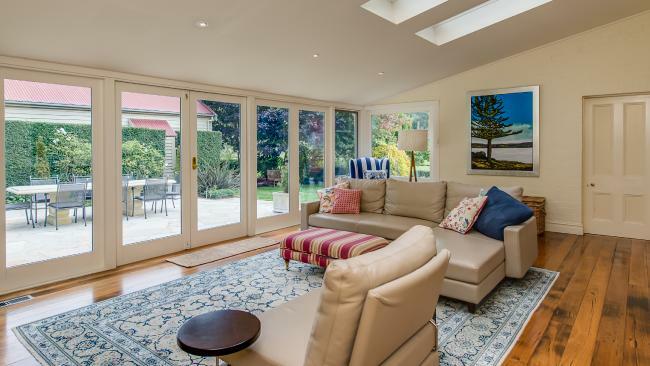 One of the living areas has skylights and glass doors leading to an outdoor entertaining space. The house sits on a 4ha block, but is only 30 minutes from Hobart. 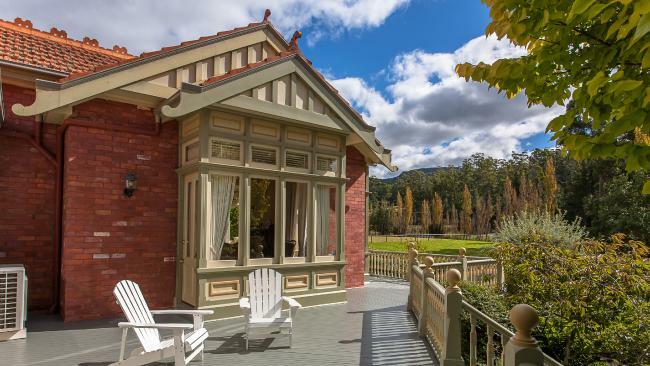 Address: Cooinda, 3707 Channel Highway, Birchs Bay, southeast Tasmania, asking $3m.